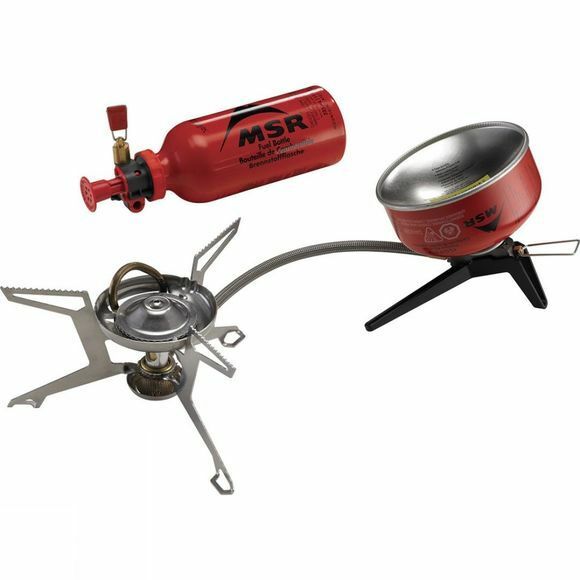 The Whisperlite Universal Combo Stove from MSR delivers the ease and simmering capabilities of canister fuel, and switches easily over to liquid fuels for longer trips, cold-weather, and international use. Thanks to the Air-Control technology the fuel and air mixture is maximised with each fuel type. As well as being incredibly lightweight, it offers excellent stability and easy maintenance, adding to the reasons that this is the only stove you'll ever need. Please note: MSR IsoPro Gas Cartridge sold separately.